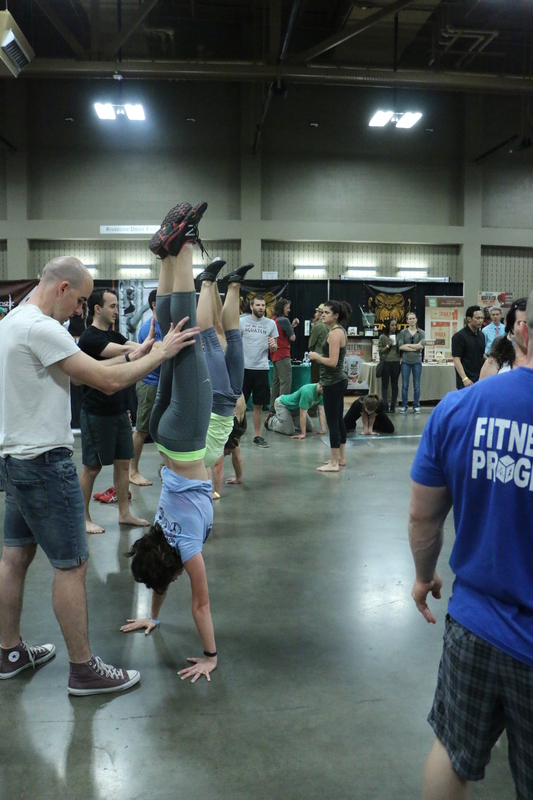 Last month, April 11-13, 2014, I attended the third annual Paleo F(x) conference in Austin, Texas at the Palmer Events Center. What exactly is the Paleo F(x) conference? 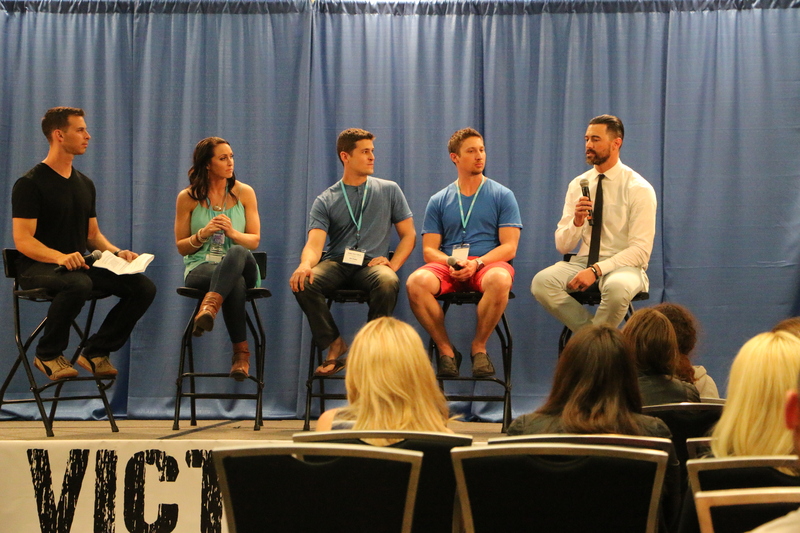 It’s a chance for people in the Paleo community to gather together to learn more about the Paleo lifestyle, meet other Paleo enthusiasts, and learn how to lead a balanced and healthy lifestyle. The conference discussions spanned a variety of topics, including: (i) a focus on eating real, whole, unprocessed, nutrient dense foods; (ii) engaging our bodies with a different exercise methodologies; (iii) maintaining a well-rounded health approach by focusing on proper sleeping habits; and (iv) living a life focused on overall health and wellness. 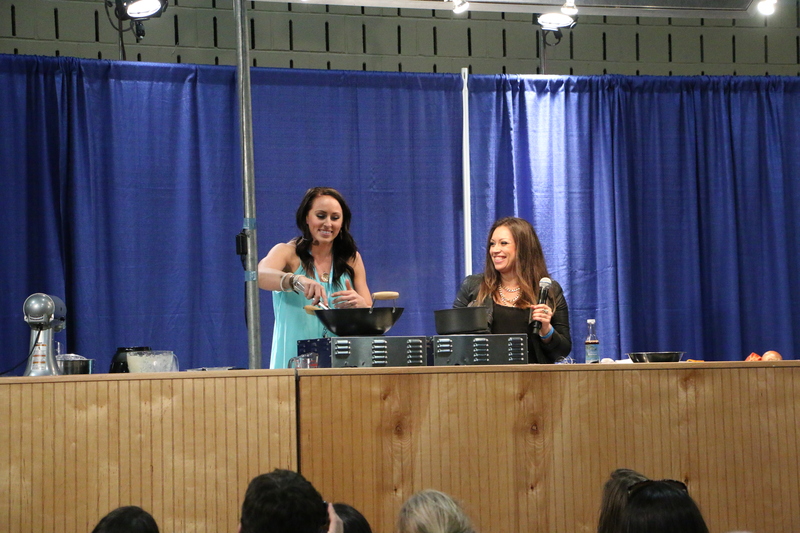 During the three days of the Paleo F(x) conference, I was able to attend an exercise skills workshop, and variety of panel discussions and cooking demonstrations. Juli Bauer and Vanessa Barajas whipping up teriyaki beef stir fry with cauliflower rice. 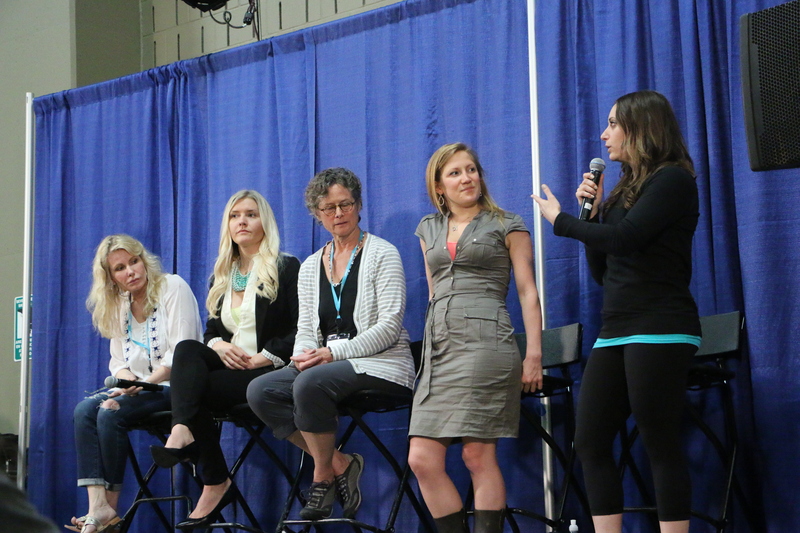 Ancestral Health For Women: discussion of Paleo lifestyle principles specifically as it relates to the needs and circumstances of modern women (from left to right: Dr. Ruthie Harper, Dr. Lauren Noel, Dr. Deborah Gordon, Stefani Ruper and Diane Sanfilippo). 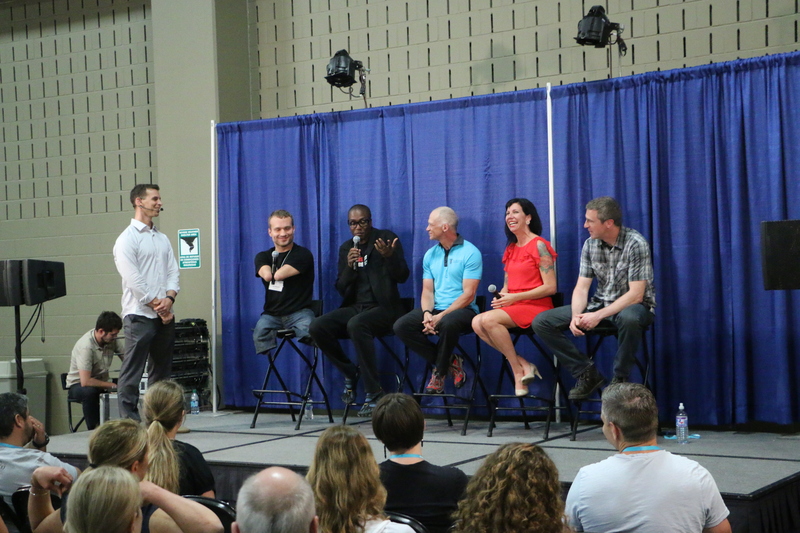 Fairies, Unicorns & Paleo Cookies: description – “determining the place of cheats and treats in the Paleo lifestyle (from left to right, Juli Bauer, Bill Stayley, Steven Wright and Dallas Hartwig). Think Tank: Catalyst for Change: description – “No more sitting on the sidelines, get in the game: Share the health…what begins here will change the world” (from left to right: Abel James, Diana Rogers, Robb Wolf, Dr. Shili Mehta and Roger Dickerman). Beyond Food: description – “Health is about more than food. This panel covered the oft-neglected topics of sleep, stress, mindfulness, and learning to find balance” (from left to right: Kyle Maynard, Darryl Edwards, Dr. Dan Stickler, Kendall Kendrick and Steve Kirsch). 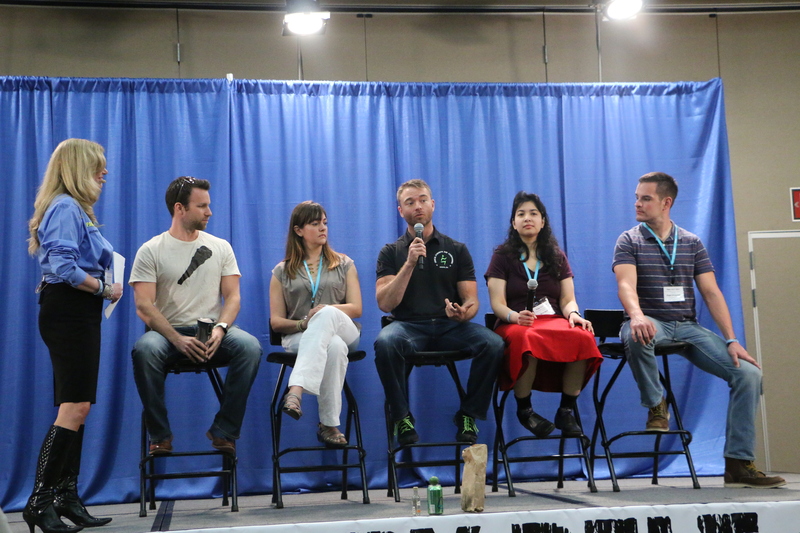 All of the panels I attended were informative, and brought a wide variety of perspectives. Not everyone agreed on each point of view for all of the panels, but for the most part I heard with each discussion topic a respect for people’s differing points of view while engaging in lively debate. 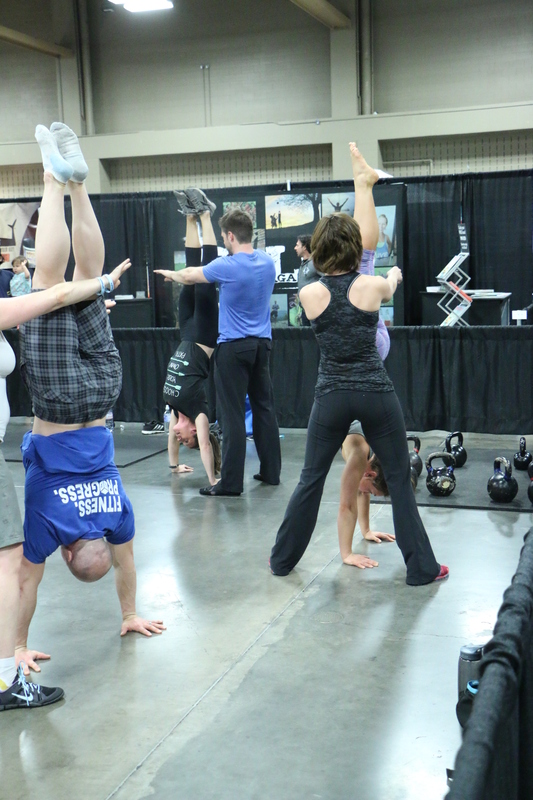 There were several movement workshops offered. 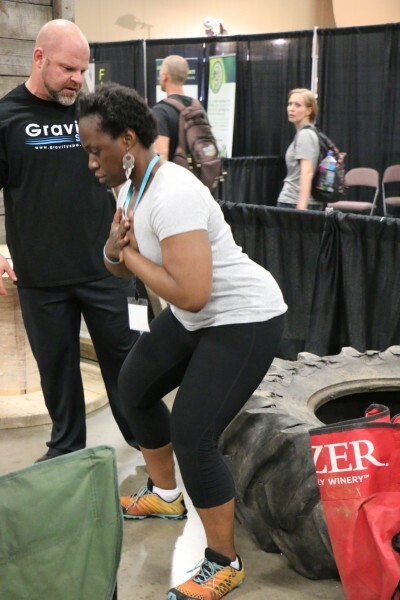 Attendees were offered sessions for improving kettlebell work, core training, technique for the Olympic lifts, and even general play outside. I attended a skill workshop focusing on improving back squat and dead lift technique, hosted by Jim Laird. 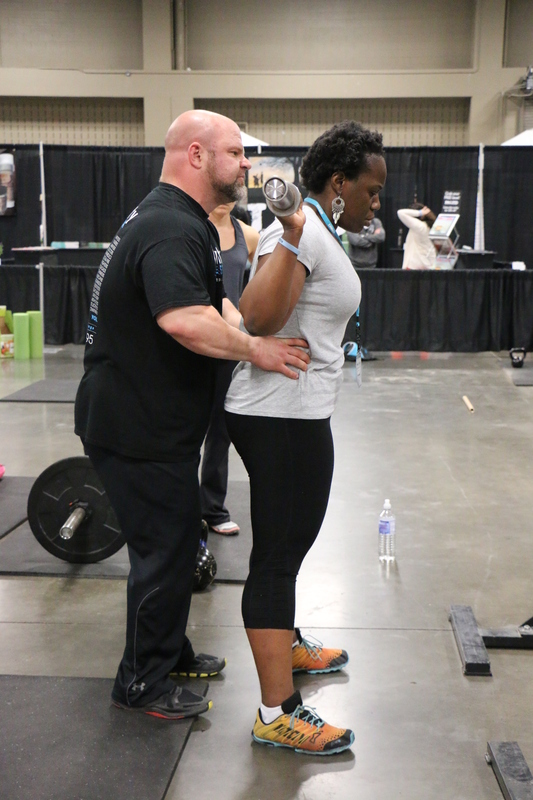 Jim Laird is an elite level powerlifter, and the co-founder of the gym J & M Strength and Conditioning based in Lexington, Kentucky. One day while I was walking around and checking out all of the vendors, I saw a booth for something called Gymnastic Bodies. I’d never heard of the program before, so I sat in on the lecture (turns out this was the same time as the Robb Wolf/Mark Sisson panel, which I totally forgot about. Oops!). It turns out that the founder and CEO is a man by the name of Christopher Sommer, a National Team Coach for the USA Mens Gymnastics Team, who has been coaching gymnastics in the USA for over 40 years. As a CrossFitter, the program offered by Gymnastic Bodies seems like something that could help me improve my CrossFit performance, and something I want to look more closely into in the future, especially with CrossFit’s heavy emphasis on gymnastic movements. I know I’ve covered a lot for my inaugural post, but there is so much more I want to share with you guys! 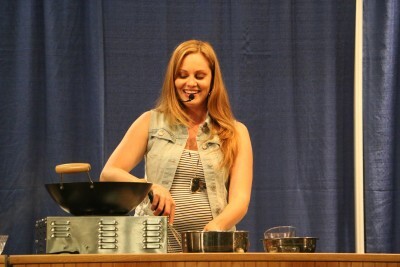 In Part two of my Paleo F(x) recap, I’ll share my experiences interacting with more of my favorite bloggers, and also share some of the yummy treats and eats shared by many of the vendors at the conference. Please come back, because you won’t want to miss what new food discoveries I found! Tags: austin, deadlifts, gymnasticbodies, paleo, paleof(x), squats | Permalink.